Isole formed under the name Forlorn back in 1990 with two sole members, Crister and Daniel. Several demo tapes were recorded in the 1990’s, including Waves of Sorrow in 1994 – a recording still revered by Epic Doom Metal fans. After a few years of turmoil, in which the band suffered myriad line-up changes, I Hate Records approached them in 2003. With a newly signed contract and much motivation, the band saw it fit to adopt a new moniker, thus becoming Isole. Isole’s debut album “Forevermore” was released in early 2005 and followed up with a 7″, “The Beyond”, in early 2006. The next album, “Throne of Void”, released in the summer of 2006, delivered an even darker sound than its critically acclaimed predecessor. The next step in Isole’s journey was the release of ”Bliss of Solitude”, which was recorded, mixed, and produced at Studio Apocalypse by the band themselves. The mastering was done by Thomas Nilsson, and Peter Sallai provided the finishing touches with his magnificent yet eerie cover artwork. „Bliss of Solitude“ received overwhelming positive feedback from fans and critics alike. However, Isole did not fall prey to idleness and continuously worked on new material for their fourth album “Silent Ruins”. It was an ambitious concept album, in which the band ventured into new territories by incorporating more variation and increasing the pace of the songs. After releasing four albums in four years, Isole slowed things down. They decided to take a break from the studio and focus on playing live in order to gain some perspective before returning to the songrwriting process. After touring in more than 10 countries, ISOLE was ready to tackle their latest opus. 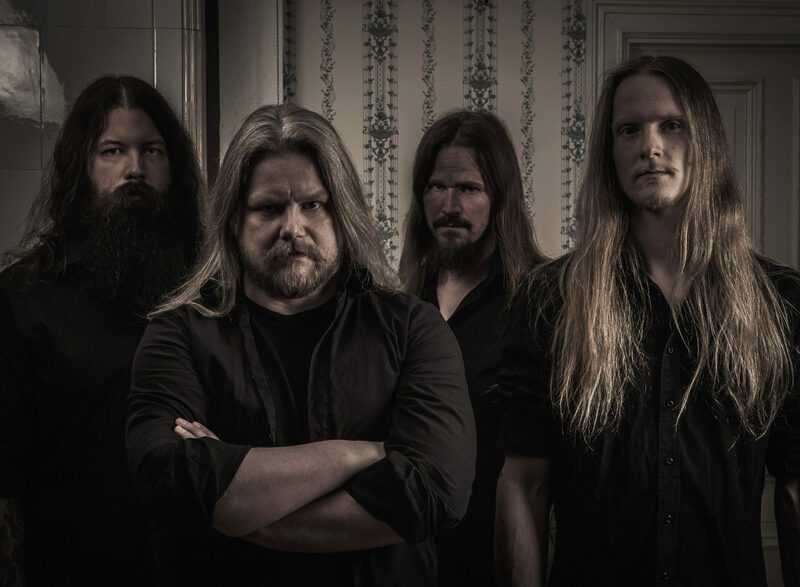 Isole’s fifth release “Born from Shadows” is the continuation of a story that began in 2005 with “Moonstone” on the debut album “Forevermore” and then “Shadowstone” on “Bliss of Solitude”. On “Born from Shadows” the two stones symbolize two opposites that finally come together to become one: darkness meets light, death meets life, and good meets evil.